A quiet day on my day 3 at LIFF, with just two films to watch on the main festival schedule and one outside of the festival that's worth noting ahead of the site's full review in a month or so. Dallas Buyers Club isn't playing at LIFF but it is being heavily touted for Oscar contention and I took the late evening to watch it. Quite rightly, leads Matthew McConaughey and Jared Leto are getting a lot of the attention. They're both playing typical 'transformative' roles; as the former goes from macho rodeo-going Texan to thin and withered AIDS sufferer, the latter playing his transgender friend and eventual business partner. It's an emotional tale and, although the two leads are the most likely to be recognised come awards season, director Jean-Marc Vallée deserves at least as much credit for his management of the story, making sure it's never maudlin, too wrapped up in the obvious tragedy or creaking at the weighty emotional seams. Dallas Buyers Club is actually, contrary to appearances and subject matter, a fun watch at times, and it's worth looking at when it arrives in the UK in February. 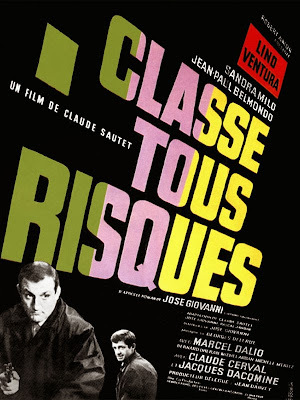 Back to the festival proper though and a day that started with 'forgotten' French crime thriller Classe Tous Risques, a film with enough oddly placed 's's and 'e's to worry even the most confident French-speaking grammarian. Several tweets on the #LIFF27 tag mentioned that Claude Sautet's film loses its way somewhere around the middle, running up to an end that is undoubtedly sudden. Personally I thought it was largely well managed, avoiding the violence around Abel aptly and filling the space with the interesting character of Stark, who gains at least as much focus as Abel. The end itself though, which really does come out of nowhere, is lazy and unsatisfying. A short bus ride to Hyde Park for the next film; Soulmate, the début feature of Axelle Carolyn, who has had a short at LIFF before and who you might have seen acting in various productions. Short of Soulmate's opening scene, which is particularly grim, there was sadly very little here to recommend. The ghost story is solved pretty quickly and whenever lead Anna Walton is required to talk to the mysterious town doctor or his wife, the acting takes a turn for the decidedly amateurish. There were a handful of vaguely positive mutterings from the audiences afterwards but, by and large, most reactions during and after the showing erred towards the distinctly disappointed, and I must say that I was with them. Finally, it wouldn't be a LIFF wrap-up at this point without some mention of food. Cielo Blanco, a Mexican at the top of The Trinity, near to The Everyman cinema, does 'street food' for £10-odd a person per selection of six different dishes. Some of them are quite hot. I would be tempted to avoid sitting in my immediate vicinity today.